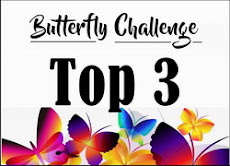 #36 Butterflies + W is for Washi Tape. Summer holidays for you all. 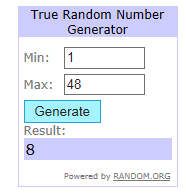 Their will be two winners chosen. 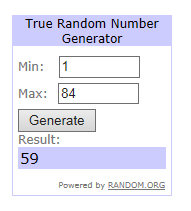 Winners results for #35 are in the post below. 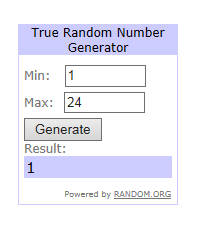 Two of the winners from #34 failed to claim their prizes. 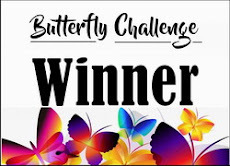 Please remember to check back to see the winners. as I have some lovely/unusual themes picked out for those letters!! Please give a warm welcome back to my Guest Designer. Here is Kitty's card for you. I think Kitty must be the queen of Washi Tape. I'm sure she has a room full of it stashed away! 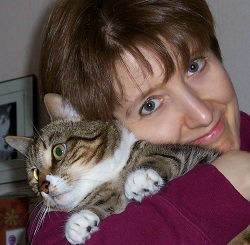 Please visit Kitty over on her blog for more details. Full details are on My blog. I'm very happy to see you here . There was a flurry of last minute entries. So pleased you could flutterby . took adding a Talisman in your stride. as soon as I saw it. A last minute entry but so worth it. Check out Sari's Bird House! Hope to see you back in #36. 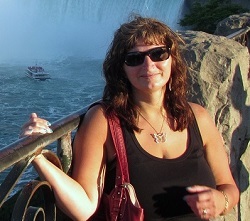 Hi my name is Rebecca Billard, I am originally from Newfoundland, Canada, but currently resides in Nova Scotia, Canada with my wonderful husband. 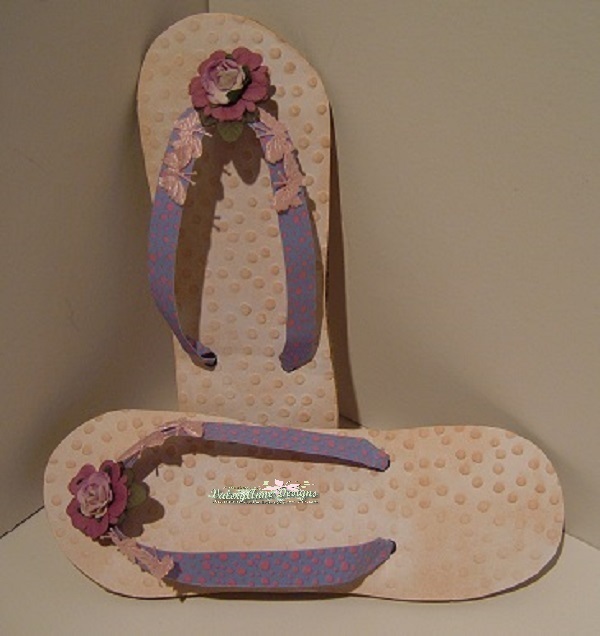 I have been paper crafting for a few years now. 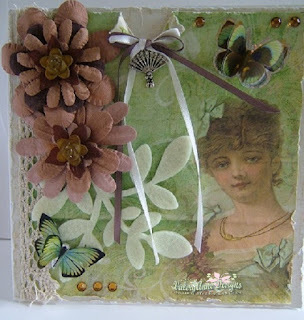 I love to make cards, tags, and mini albums the most, but I would like to try to learn some new techniques so that I can start journaling. 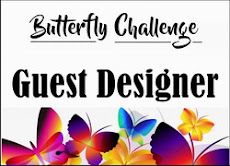 I am so happy to be a Guest Designer for this challenge, it is one of my favorite challenges to play along with. 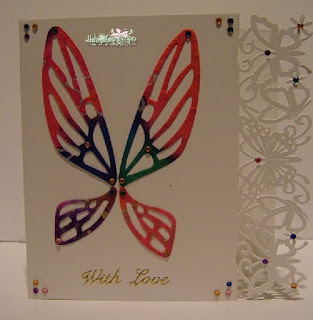 I just love butterflies, and I use them a lot on my creations. Thanks Mrs. A for having me and I look forward to seeing all of your beautiful creations. Rebecca has chosen the following letter for you. 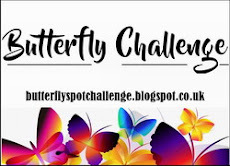 so I would like to see a charm incorporated somewhere on your project along with your butterfly which could of course be the butterfly itself. 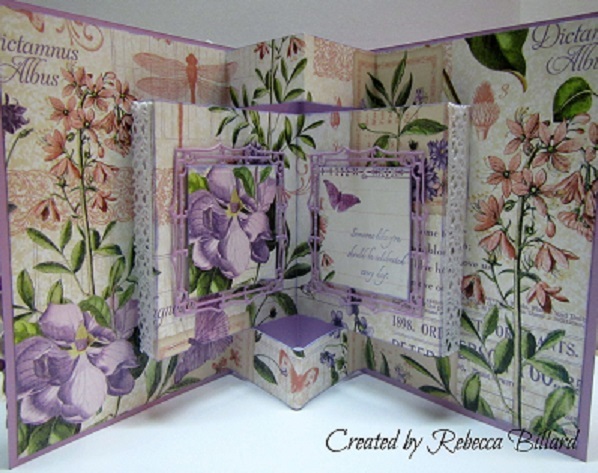 Here is Rebecca's card for you. Wow. Absolutely stunning. Don't you all agree!! 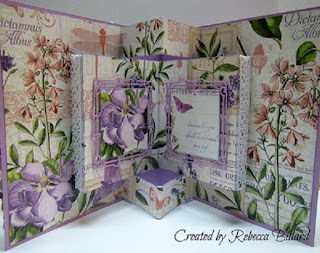 You can find more information on Rebecca's Blog. You can find full details here on my blog. for just fluttering along with your cards. will be winging its way to you. 9yr old Granddaughter for her Mum. goodies will be winging your way. Hope to see you back in #35. Hi, my name is Veerle and I live in a rural part of Belgium. My native language is flemish so please forgive me for my poor english. for about 6 months. Ever since i was a child i was being busy with crafting but never into cardmaking. 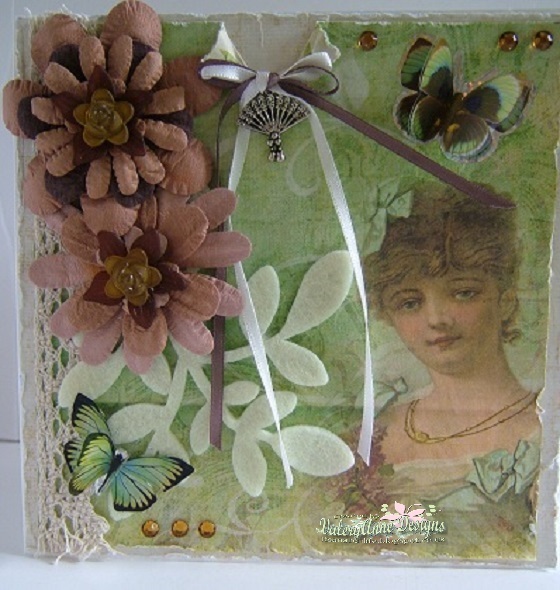 Not until 2013.
from my hobby my living I am working together with a craft store and I give a lot of classes, in fact I am almost 24/24h busy with cardmaking. Veerle has chosen the following letter for you. #34 Butterfly/ies + G is for Gems. on your project with your Butterfly/s. 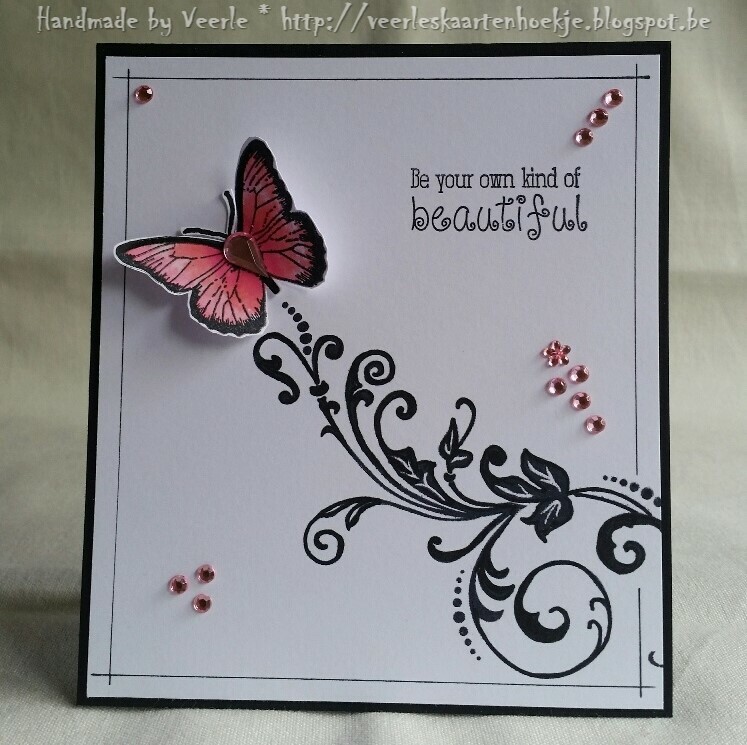 Here is Veerle's card for you. 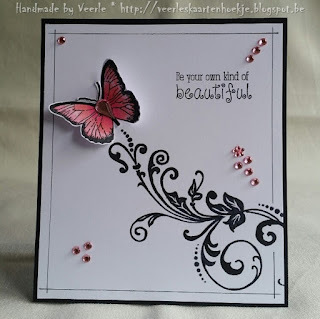 You can find more information on Veerle's blog. 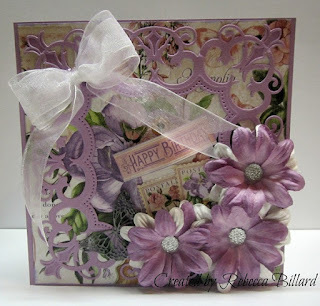 You can find full details on my blog. A staggering 15 new players joined in the fun. and several of you joined in more than once..
You made my choices so hard to make. (Anne is new to the challenge. along with the story to go with it. Hope to see you back in #34.